This is a follow-up to the previous post. I say Vardo because that’s really what it is. You can sense that the presenter of this show isn’t too familiar with true rolling homes, caravans, vardos, or whatever you want to label them but his enthusiasm is real. I like this home a lot but there is too much gymnastic restructuring for my taste. I’m probably just lazy. I’m not knocking his aesthetic or design though; they are spot-on. Mr. Tagami fit a lot of useful ideas together to create a wonderful living space. Several of these innovations are being integrated into my future plans. If you haven’t seen this yet, here’s a video detailing one of his creations and the happy owners who inhabit it. 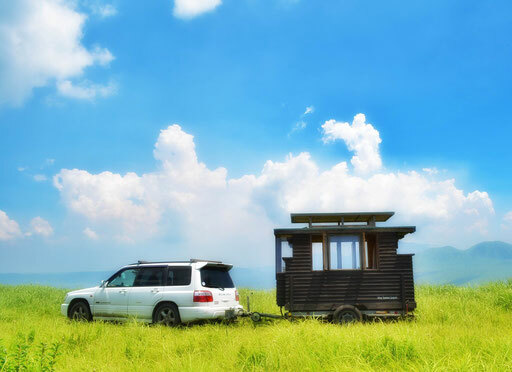 ← Tiny House Japan; who knew? It is beautiful, craftsmanship everywhere that I look at it. This is far from being a Vardo such as what perhaps Lardo immigrants would use. Fact is out of respect to the Gypsy Heritage I will not claim I have built a Vardo……I merely have a wooden camper, no more-no-less. A Trappers Cabin is what its intent is, so officially I built a Tappers Cabin on Wheels. Although similar in some respects, it just mimics the European Vardo and English Caravan. 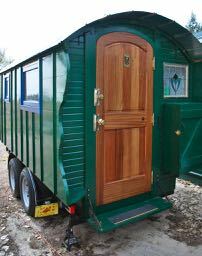 Not to pick too fine here but nothing in the modern vardo community is comparable to the English designs. They were heavy, four-wheeled, various set-ups, etc. The modern term is use for lightweight, enter through the end, and bed across the opposite with some sort of stove. It’s shorthand to distinguish from “Tiny Homes” which have a very different design and construction origin. I’m sure you are aware that Romany, travellers, or the “Gypsy” community never built or designed the living wagons we associate with them today. They were purchased from the great builders in England who found a market. These people were probably never even majority owners of the class of wheeled homes we associate them with during the heyday of “gentlemen gypsies” and traveling showmen as the costs were truly astronomical for the average wayfarer. Vardo, in this case, is shorthand for the internet community. I call mine “the Cabin” or the camper most of the time when talking to other people because that’s how it functions too (and I don’t want the word-baggage or connotations to stick with it). This reminds me of a small group of Hopi men I lived near in Arizona who talked about their meetings in their Kiva. I later learned that the Kiva wasn’t at all the traditional design but actually a well-kept Airstream trailer. It is what it is and it may not fit everyone’s definition. shows a few more details of his framing methods. Google Translate seems to do okay with some of the blog posts. The multiple iterations of the table in the medium Baske-T, from side table to front table to formal dining table to bed, do boggle the mind. That collapsible mollycroft sticks in the mind as a new ideal. Thanks. I’ll watch it as soon as I have a good connection.